Is married.....wife's name is Hannah.....the couple has a daughter named Ava ... Graduated from Midway (TX) High School, where he also played football ... Attended Panola (TX) College and Cumberland (TN) University ... Set NAIA records for consecutive scoreless innings (54.0) and consecutive victories (26) while at Cumberland ... Worked in the frozen foods section at a grocery store called H-E-B in Waco, TX in 2012 after undergoing "Tommy John" surgery in August 2011 (Dr. Damon Petty).....just after being offered a promotion to manager at H-E-B, Wilkerson ended up signing with the Fort Worth Cats of the independent United League Baseball ... Follow him on Twitter (@AaronWilkerson_). Spent most of the season at Triple-A Colorado Springs, where he went 4-5 with a 2.49 ERA in 15 games (12 starts) ... Held Pacific Coast League opponents to a .236 batting average ... Went 0-1 with a 10.00 ERA in 3 games (1 start) with Milwaukee ... Had four stints with the team (7/1, 7/6-7/7, 7/14 and 8/11-812) ... Made relief appearances on 7/1 at Cincinnati and 7/14 at Pittsburgh ... Made his only start in a 5-1 loss on 7/7 vs. Atlanta (5ip, 4h, 2r, 2er, 3bb, 5k) ... Following the season pitched for the Mesa Solar Sox in the Arizona Fall League and Cibao in the Dominican Winter League. Began the season in the Red Sox organization, where he went 6-3 with a 2.14 ERA in 17 games (16 starts) between Double-A Portland and Triple-A Pawtucket ... Was traded to Milwaukee, along with 2B Wendell Rijo, in exchange for INF Aaron Hill and cash on 7/7 ... Finished the year at Triple-A Colorado Springs, where he went 2-6 with a 6.42 ERA in 11 starts. Went 11-3 with a 3.10 ERA in 29 games (20 starts) between Class-A Greenville, Class-A Salem and Double-A Portland ... Was the organizational leader in ERA (3.10), strikeouts (137) and wins (tied-11) ... Following the season pitched for the Scottsdale Scorpions in the Arizona Fall League. Began the season with Grand Prairie in the independent American Association and went 3-1 with a 3.35 ERA in 13 starts before he was purchased by Boston on 7/18 ... Finished the season at Class-A Lowell, going 5-1 with a 1.62 ERA in 8 starts. Went 10-2 with a 2.96 ERA in 19 starts between three independent league teams in his first professional season ... Pitched for the Fort Worth Cats (United League Baseball), Florence Freedom (Frontier League) and Grand Prairie AirHogs (American Association). 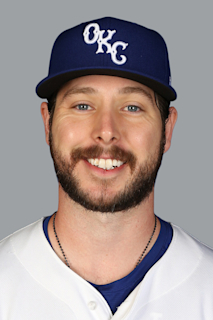 April 16, 2019 Milwaukee Brewers recalled RHP Aaron Wilkerson from San Antonio Missions. March 11, 2019 Milwaukee Brewers optioned RHP Aaron Wilkerson to San Antonio Missions. December 11, 2018 Gigantes del Cibao placed RHP Aaron Wilkerson on the reserve list. November 13, 2018 RHP Aaron Wilkerson assigned to Gigantes del Cibao. November 13, 2018 Mesa Solar Sox placed RHP Aaron Wilkerson on the reserve list. October 26, 2018 RHP Aaron Wilkerson assigned to Mesa Solar Sox. October 2, 2018 Milwaukee Brewers recalled RHP Aaron Wilkerson from San Antonio Missions. August 26, 2018 Aaron Wilkerson roster status changed by Colorado Springs Sky Sox. August 21, 2018 Colorado Springs Sky Sox placed RHP Aaron Wilkerson on the temporarily inactive list. August 13, 2018 Milwaukee Brewers optioned RHP Aaron Wilkerson to Colorado Springs Sky Sox. August 11, 2018 Milwaukee Brewers recalled Aaron Wilkerson from Colorado Springs Sky Sox. July 15, 2018 Milwaukee Brewers optioned RHP Aaron Wilkerson to Colorado Springs Sky Sox. July 14, 2018 Milwaukee Brewers recalled Aaron Wilkerson from Colorado Springs Sky Sox. July 8, 2018 Milwaukee Brewers optioned RHP Aaron Wilkerson to Colorado Springs Sky Sox. July 6, 2018 Milwaukee Brewers recalled Aaron Wilkerson from Colorado Springs Sky Sox. July 2, 2018 Milwaukee Brewers optioned RHP Aaron Wilkerson to Colorado Springs Sky Sox. July 1, 2018 Milwaukee Brewers recalled Aaron Wilkerson from Colorado Springs Sky Sox. June 3, 2018 Colorado Springs Sky Sox activated RHP Aaron Wilkerson from the 7-day disabled list. May 24, 2018 Colorado Springs Sky Sox placed RHP Aaron Wilkerson on the 7-day disabled list retroactive to May 22, 2018. May 13, 2018 Colorado Springs Sky Sox activated RHP Aaron Wilkerson from the 7-day disabled list. April 5, 2018 Colorado Springs Sky Sox placed RHP Aaron Wilkerson on the 7-day disabled list. March 14, 2018 Milwaukee Brewers optioned RHP Aaron Wilkerson to Colorado Springs Sky Sox. September 15, 2017 Milwaukee Brewers selected the contract of Aaron Wilkerson from Colorado Springs Sky Sox. September 6, 2017 RHP Aaron Wilkerson assigned to Colorado Springs Sky Sox from Biloxi Shuckers. May 4, 2017 Biloxi Shuckers activated RHP Aaron Wilkerson from the temporarily inactive list. April 23, 2017 Biloxi Shuckers placed RHP Aaron Wilkerson on the temporarily inactive list. April 4, 2017 RHP Aaron Wilkerson assigned to Biloxi Shuckers from Colorado Springs Sky Sox. January 29, 2017 Milwaukee Brewers invited non-roster RHP Aaron Wilkerson to spring training. July 10, 2016 RHP Aaron Wilkerson assigned to Colorado Springs Sky Sox. June 2, 2016 Pawtucket Red Sox activated RHP Aaron Wilkerson from the temporarily inactive list. May 29, 2016 Pawtucket Red Sox placed RHP Aaron Wilkerson on the temporarily inactive list. May 28, 2016 RHP Aaron Wilkerson assigned to Pawtucket Red Sox from Portland Sea Dogs. April 28, 2016 RHP Aaron Wilkerson assigned to Portland Sea Dogs from Pawtucket Red Sox. April 22, 2016 RHP Aaron Wilkerson assigned to Pawtucket Red Sox from Portland Sea Dogs. August 4, 2015 RHP Aaron Wilkerson assigned to Portland Sea Dogs from Salem Red Sox. May 4, 2015 RHP Aaron Wilkerson assigned to Salem Red Sox from Greenville Drive. April 7, 2015 RHP Aaron Wilkerson assigned to Greenville Drive from Lowell Spinners. July 18, 2014 Boston Red Sox signed free agent Aaron Wilkerson. July 18, 2014 RHP Aaron Wilkerson assigned to Lowell Spinners.